We bring to our clients high strength hydraulic machines which are manufactured in accordance with the best industry standards and are rigorously tested resulting in high performance and reliability. Our range includes hydraulic cylinder, hydraulic power pack,hydaulic rubber molding machine, hydraulic press and others.Our hydraulic machines are available in different sizes and specifications, these machines are also custom designed as per the application needs of the clients.We are the amnufactrurer of special purpose hydraulic machines.Our hydraulic machines are also suitable for precession bearing pressing.our hydrauic machine suitablle for shaft machine.Our machines are suitable for gear.we also manufatures C type hydraulic machines.we also manufacteres of H type hydraulic mahcine.we also manufatures of pillar type hydraulic machines. 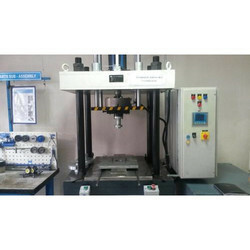 Our Accurate Bearing Pressing Hydraulic Machine is suitable for accurate load v/s displacement pressing machine. 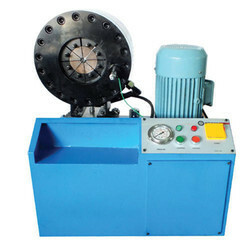 The Accurate Bearing Pressing Hydraulic Machine is suitable for engine block assembly. Our Accurate Bearing Pressing Hydraulic Machine is suitable for bearing shaft assembly. it is used for heavy bearing purpose. Bearing pressing are controlled for linear bearing and guide rods. Our Accurate Bearing Pressing Hydraulic Machine which controls linear bearing and guide rods which will control axial and radial control. This bearing pressing machines are very long lastibg machine. our bearing pressing machines are good with accurate pressure with displacement. 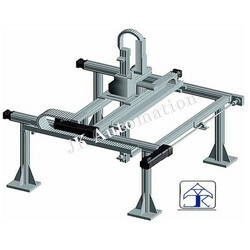 This bearing pressing machine is suitable for heavy bearing pressure with accurate load and displacement. Portable Hydraulic Crimping Machine for various applications,this particular image machines are using wire rope crimping usage for manufacturing the high Energy absorption-net manufacturing.this machines are contain power pack and portable cylinder operated crimping operations. this machine is handy and easy to use the operator Automation is provide solution for customized crimping solutions. 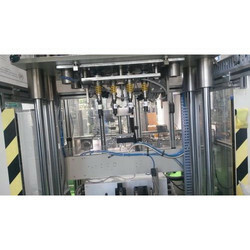 Brass Bush Inserting Machine suitable for any kind brass bush insert on plastic components with dimensional control using vertical measurement integration. This is give you very good quality friction and reliability.JK automation offers 3 ton capacity to 200 ton capacity of the friction bonding presses. Also we offer the complete friction liner bonding equipments and machineries.we are one of leading manufacturer of Friction gear bonding machineries. 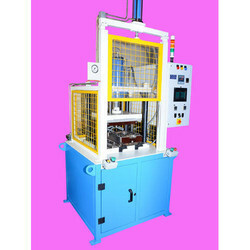 We also manufacturing hydraulic and pneumatic bonding machines. Looking for Hydraulics Machine ?